John Hoff’s current practice focuses on insurance defense, insurance coverage, and aviation litigation. He also has broad experience in other tort litigation including professional liability matters, construction, commercial/transaction matters, and transportation litigation. Additionally, John is a recognized expert in Federal Aviation Administration (FAA) and pilot enforcement matters. John is a graduate of Southwestern Law School (J.D., 1975); Drake University (BSBA, 1967); California State University at Fullerton (MBA in Accounting & Finance, 1971); and has a Masters in Military History (MS) from The American Military University, Manassas, VA. After completing his legal studies and leaving active duty after 8 years in the USAF, John began his legal career as a staff and trial attorney in the Headquarters of the FAA, Office of the Chief Counsel, Litigation Division, in Washington, D.C. (1975-1976). 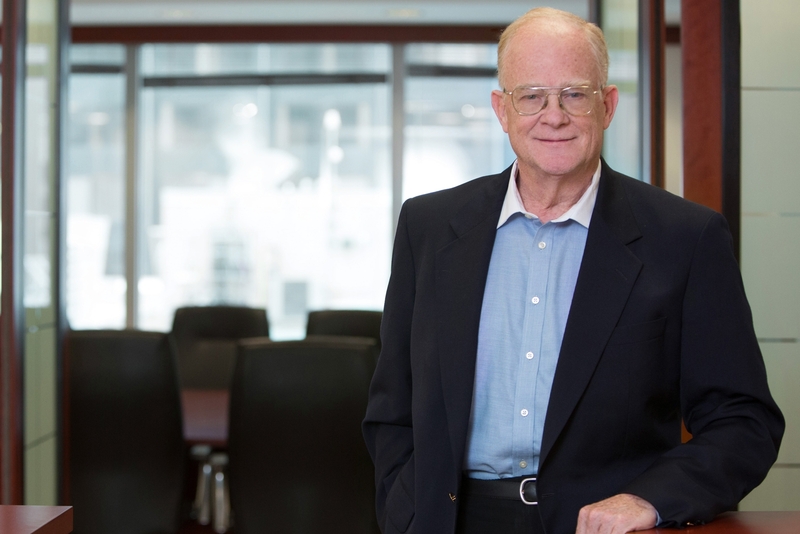 John entered private practice in late 1976 by joining the Chicago law firm of Lord, Bissell and Brook, performing litigation in the aviation section of the firm. Prior to joining Cremer Spina, John was the founding partner of the Hoff Law Group. John is a retired full colonel from the U.S. Air Force, with 31 years of services. He is the past President of the Aviation Insurance Association and is the current President of the Great Lakes Chapter of the International Society of Air Safety Investigators. John is a member of the Aircraft Owners & Pilots Association, the Lawyer-Pilots Bar Association, and the National Association of Flight Instructors. Oxford University (Worcester College, 1973), University of California, Berkeley Fellowship. John retired in 1998 as a full Colonel (O-6) from the U.S. Air Force, with 31 years of service. Decorations: Legion of Merit and Meritorious Service Medal (2). John Hoff has represented and defended businesses, corporations, LLCs, individuals, insurance carriers, and insureds in a wide range of exposures, including product liability and catastrophic personal injury and death cases. His courtroom skills and litigation proficiency have resulted in numerous favorable verdicts, settlements, and the successful defense and dismissals for his clients. John recently defeated one of the top two Chicago personal injury law firms by way of summary judgment in a wrongful death case. In a recent federal case in Ohio, John achieved a dismissal of an Ohio defendant in an aircraft crash case which resulted in two fatalities. That result came after he achieved dismissals in both Texas and Florida courts via personal jurisdiction challenges. John achieved a successful recovery in a property damage matter when representing a major aircraft manufacturer after six aircraft were damaged. Following that, he recovered attorney’s fees for his client using a choice of law provision in the contract. After a bird strike resulted in five fatalities, John represented an airport in a U.S. District Court. John was successful in defeating one of the top Florida personal injury firms and having the airport dismissed before trial.